Neighborhood block party. Class reunion. Spouse’s office holiday party. If any of these events spark a rise in blood pressure for you, you’re not alone. Most people have social anxiety of some sort or another – after all, we only have one time to make a good first impression. Whether we know it or not, we are being silently judged on our tone of voice and our non-verbal gestures. How many of us give those a second thought? When I saw the title of the book, I thought it would be a guide to help me through uncomfortable social situations. The book actually focuses on people seen as “awkward”, those who have a difficult time even looking someone in the eye and speaking to them. In 2011, it was an actual term used to describe those who are socially clumsy. Although the book wasn’t what I thought, I continued to read because I found it fascinating. 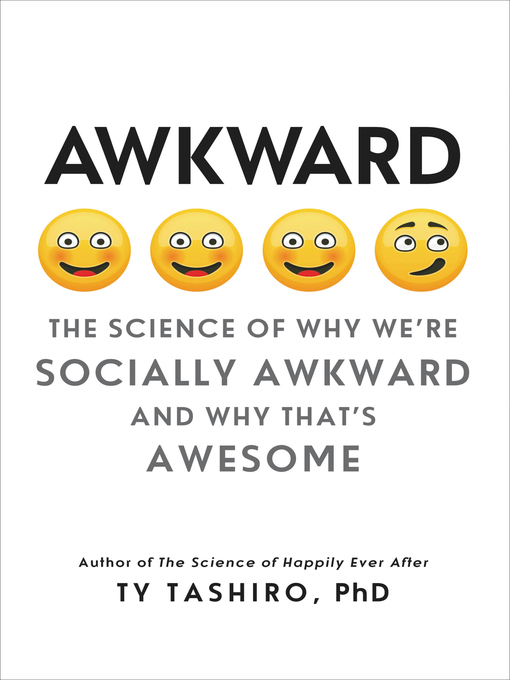 Awkward people look at life differently, and the book explains why that is a good thing. The scientific findings referenced can drag at times, but my overall takeaway is that I need to be more aware of those who are truly “awkward” and extend more friendliness and grace! If you know someone who has great difficulty with social situations (it might even be you), this book is an encouragement and an eye-opener. Gail is currently reading The Sapphire Widow by Dinah Jefferies.